Last week I went against my better judgment and wrote about the Modern banlist. The piece seemed to be generally well received, though as one would expect, there were disagreements. Most seemed to be with regard to levels of understanding or differences of philosophy, though there was one commonly expressed sentiment that I felt deserved its own response. I completely disagree with the notion that Mox Opal and Simian Spirit Guide should necessarily be of the same legality in the Modern format. Today I’ll lay out my case for why. In my article I made comparisons to both Lotus Petal and Chrome Mox—both cards that are illegal in Modern. I haven’t seen anybody arguing that Chrome Mox should be unbanned, nor that Lotus Petal should be reprinted in a Modern-legal capacity. We all understand the dangers of fast and free mana, though there seems to be a breakdown when it comes to understanding exactly what should and should not be Modern-legal. 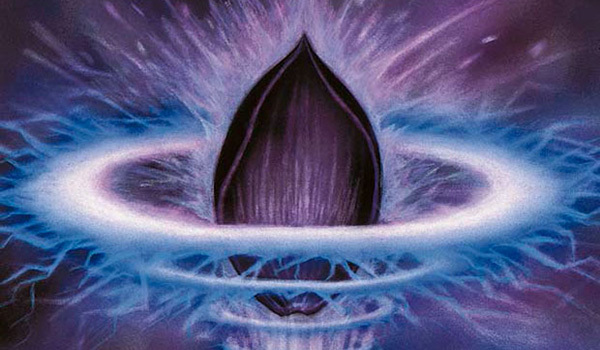 Chrome Mox and Lotus Petal are easily identifiable as particularly egregious due to their ability to generate mana of any color and to enable storm decks, though clearly we allow some amount of fast mana to be Modern-legal. Tron and Eldrazi Temple get to continue to exist in no small part because they heavily restrict the sorts of spells that the fast mana enables. Birds of Paradise is way too powerful of a mana accelerator for current design philosophy, though once again, Birds really only plays well in creature-centric decks. In each of these cases, the legal fast mana card imposes deck-building restrictions that are totally fine within the context of Modern. This is where the difference between Mox Opal and Simian Spirit Guide becomes pronounced, and where I think some players seem to ignore or be unaware of some very pertinent data. A big part of my argument last week lied in the fact that Mox Opal doesn’t enable anything especially degenerate at this point in time. Technically there is an Open the Vaults combo deck that’s fringe-playable, though when it comes to popular and powerful Mox Opal decks, we are referring to Affinity and Lantern Control. The common link here is that both of these decks utilize the fast mana available to win the game with permanents. Lantern Control technically closes the game before it actually wins, though the fast mana in both of these decks merely enable the pilot to commit permanents that hopefully close the game. Ensnaring Bridge isn’t exactly a fun card to play against, but the deckbuilding restriction that Mox Opal imposes makes it so that these decks are still vulnerable to artifact hate. The practical application of the card makes it so that Mox Opal is specifically a shot in the arm for artifact-heavy decks, which are vulnerable to the wealth of powerful artifact hate in the format. The danger of fast mana is that it can enable a player to actually win the game before the other player gets to take relevant game actions. Mox Opal doesn’t really facilitate that in Modern. If Ad Nauseam was the only Simian Spirit Guide deck, then you would have reason to believe the same of that card. However, that’s not even the most recent Spirit Guide deck to place well in a Modern event. The sole purpose of Simian Spirit Guide here is to cast Cathartic Reunion on turn one, to cast two of the one-mana looting spells on turn one, or to flashback Faithless Looting on turn two—all in the hopes of killing your opponent on turn three. Unlike Mox Opal, adding Simian Spirit Guide to Dredge didn’t require changing any other slots, with the fact that it only makes red mana only mattering occasionally. This list is still pretty fresh, and you can make the argument that this isn’t the best build of Dredge, but that argument doesn’t really promote the position that Simian Spirit Guide is a positive feature of Modern. It is true that this is just one data point, so let’s take a look at what else Simian Spirit Guide is up to. The finals of the most recent SCG Classic is a good place to look—both sides of the finals at that. It’s easy to mistake Sun and Moon for something it’s not. Sure, it has midrange planeswalker elements, but fundamentally it’s a turn-one or -two Chalice of the Void/Blood Moon prison deck. Technically it gets wins in other ways, though the deck is only competitive because of the ability to power out oppressive permanents that prevent opponents from playing Magic. Unlike Lantern Control, artifact hate won’t really help you here, as you’ll only have one target for it. The impact of Simian Spirit Guide is that it takes this slower prison deck, and gives it the potential to functionally win the game on turn one. Chalice of the Void is a pretty heinous card, but if you can play your one-mana spell, say a Thoughtseize, on turn one, its presence is totally fine. It’s the fast mana that is the deal breaker. In Valakut decks, Simian Spirit Guide is just there to enable more turn-three Through the Breaches. Search for Tomorrow is a staple of ramp decks, letting you ramp your mana on turn one and get to five mana on turn three, and Simian Spirit Guide supplements these fast kills. It takes away some consistency from the deck, but it enables difficult-to-interact-with fast kills. It does give you fewer topdecked Mountains once you have an active Valakut, the Molten Pinnacle, though this is a minor deckbuilding cost to be more competitive with the fastest decks in the format, which are generally the Valakut decks’ worst matchups. Ultimately, the costs of putting Mox Opal and Simian Spirit Guide in your deck are very different, with SSG being much less demanding. The current payoffs are similarly unequal. Opal lets your deck play the game faster, but only by interacting or presenting strategies that can be interacted with. Spirit Guide speeds up wins that defy interaction. Yes, they’re both fast mana, but not all fast mana is equally degenerate. An argument I’m more sympathetic to is that Simian Spirit Guide really only rears its ugly head when the rest of the format is oppressively fast. It was a tool available to Valakut decks previously, though the hit in consistency was generally considered too steep of a cost. It’s entirely possible that if you ban something out of Dredge and/or Mutagenic Growth, you might see the Simian Spirit Guides disappear from the format. But the fact remains that the card can slot in to most any strategy that’s just looking to kill a little faster at a very low cost. Minimally, this is something to monitor. Blanket categories tend to hurt more than they help when it comes to high-level discussion of a topic, and I hope I’ve done a good job of illustrating why Simian Spirit Guide is more problematic than Mox Opal. I will reiterate that I don’t expect a Spirit Guide ban with the Aether Revolt update. But the argument for one is sound, and should be an independent discussion from that of Mox Opal. Ryan first of all nice article you might have missed the other deck that makes simian spirit very good which is goryo’s vengeance deck if i had to narrow 3 decks where simian spirit guide is absolute a key piece would be sun and moon ad nauseum and goryo’s vengeance. This being said i believe simian spirit guide cannot be fully compared to mox on the sense that is only good on the first and second turn except maybe exactly for rg breach where reinforces the turn 3 kill, but the thing is that ssg is more comparable to a leyline in what he allows to do than mox opal. Example one ssg allows for chalice or catharthic in dredge cant see any other powerful play here ( these are just examples), one leyline of the void or sanctity which have 0 interaction because they come down on turn zero if they are on the opening hand ( they suffer from the same problema they can be cast but they are not as good same happens to ssg by turn 4) are also a powerful play against some decks the void one shutting down dredge na sanctity being good against decks that have target damage gameplan. Second example two ssg allows for blood moon first turn which lock some decks on turn 1and they cant do anything more for te rest of the game, the same happens with leylines one is many times solvable two in the field when the game begins most of the times have the same effect as a blood moon. So i agree on mox opal and ssg being very different cards that sometimes allow more a less same effect i just dont agree that is more unfair than other things that exist in the format and on what it allows you to do. Something also worth noting is that SSG, unlike Mox Opal, can also be a Gray Ogre. Obviously a 3 mana 2/2 doesn’t quite cut it in Modern, but the added utility comes up more often than you’d think. Especially Sun and Moon can win with Simian beatdown a non-negligible amount of the time. This is some good community discussion, I like your commitment here. It’s easy to compare simian spirit guide to lotus petal, and you have. That’s fine, but be sure to pay attention to where the similarities end. Petal is used in many recursions and infinite combos, rather than “just” a speed boost, whereas simian spirit guide is unfortunately very one dimensional in this sense, and nowhere near as dangerous a card. … Right now, SSG isn’t fulfilling those problems or causing an issue in modern. It’s a fair observation, and credit goes to you for even considering talking about banning cards in a public forum such as this. I just think that the basic premise you outlined vis a vis Mox Opal in your earlier article applies quite well (and not in an ignorant way, either) to simian spirit guide right now. It’s got potential issues, but right now it’s not a problem. So you focus on how we can interact with opal but not ssg… Its like you’ve never seen a simian spirit guide fueled spell get remanded or abrupt decayed… or someone pound out a t2 moon and the opponent just goes about their business cause they fetched basics when they saw your basic mountain or temple of triumph turn one… when you spell pierce the cranial plating they still have the opal. Spell pierce the moon or breach and you 2 for 1 and probably win the game. In terms of deck requirements Opal requires a certain deck yes – but those decks are very good, one has been t1 since forever in spite of people packing tonnes of hate for it. Ssg is card disadvantage. Its not the worst thing to be in modern, but its a cost. Theres a reason every deck in modern doesnt start with four ssg – even the blitz decks dont generally want the card. It also looks extraordinarily lazy to dismiss the fact affinity is a t1 deck since forever warping sideboards like a boss while ssg is a t2 curiousity at best. Results should matter when talking about card power. Bottom line, I dont think “ability to interact with the spell” is a legitimate dividing point here, nor is “deckbuilding constraints”. Ill buy the former for birds of paradise – creature removal is ubiquitous. But killing off an opal before it does its harm is just as hard as stopping ssg from doing its harm. I will grant that it’s subtext in my article and not explicitly stated, but you are ignoring ease of interaction, which is a huge part of how Modern is managed- hence why Infect has faded bans while Amulet got the ax. Yes, counters are great against SSG fueled spells. So what? What few blue decks there are in the format get some number of counters, which are otherwise pressured in the format- if you play blue cards in Modern you are well aware of this. If you play literally any deck in Modern, you can beat up on artifacts in some capacity. Opal will have invariably provided one mana before you destroy it… that is the same amount of mana an ssg will provide. Opal will also continue producing mana each subsequent turn if not destroyed. The idea you can interact more with opal than guide is a head scratcher… both are putting out one mana no matter what you do (short of stony silence which is usually too late to stop the first opal activation anyways). The fact you can ancient grudge an opal does not seem very relevant when the issue with either card is immediately granting plus one mana at no cost. If you want to focus on what decks do with that extra mana then fine lets do that and look at lantern or affinity’s opal starts vs valakut or moon openers but again this is now In the realm of real results and not hypothetical or philosophical principles of fast mana. In real results opal is four of in a tier one deck while ssg is (so far) a tier two curiousity at best. This post is already refuted by the article. It is all about what you do with it. It’s the non-creature based turn three kills that frame many banlist discussions. If you want to try to frame them differently that’s your prerogative. Or perhaps you’re simply giving too much weight the the title of the article. The body of the text is entirely about decks. Sorry Ryan, I re-read and it is clearer that you are saying that its what you can realistically or practically do with the free mana that matters not the free mana itself. My mistake. From that perspective I buy your premise – each fast mana card has to be assessed independently (as did summer bloom and as does birds of paradise). That being said for banlist talk you need to really refer to actual banlist criteria. Currently banned fast mana cards are banned for breaking t4 rule (see: bloom, chrome mox, seething song), or for format diversity (see: eye of ugin). So sure, evaluate opal and ssg separately – there’s no actual rule in modern about “no fast mana” so point taken. But that means that it’s all about what the cards actually do in their various decks and whether they actually break banlist criteria. The potential to do so doesn’t matter. If dredge start’s t3 killing folks in an SSG-fueled frenzy and we all agree that without SSG its t4 kills instead, card needs to go. But sun and moon spitting out turn 1 chalice or breachscape doing turn 3 emrakuls is not on target. There are tonnes of ways to get 5 mana on turn 3, and a turn 1 chalice never actually wins the game on turn 3. Similarly “interactivity” is not a banlist criteria (I don’t think). So even if you’re correct that opal decks are easier to interact with than SSG decks – I don’t think that’s even a blip on Wizards’ radar. If SSG decks started dominating and we saw top 8s with 28 copies of SSG, then we’d be looking at a format diversity issue as the reason to consider a ban. Anyways – yes good point on why SSG/Opal are separate questions – but I think you really needed to frame this with actual banlist criteria to explain why. There is no banlist rule about “no fast mana” but there are rules that get fast mana cards banned – at this point in time though neither opal nor guide are violating any of them. Without being type-cast as “the banlist guy”, what are your thoughts on the newly spoiled black sweeper that allows you to cast a 3-drop from your hand? Does it have parallels with bloodbraid elf? Is Wizards effectively saying that they think effects of this type are OK? I feel like it’s worth a paragraph or two :). Thanks again, I love discussing around modern as a format and you’ve done it adeptly, and with thought. There are two big differences between this card and Bloodbraid Elf. The first is that making a 3/2 haste is usually at least fine, whereas a conditional sweeper is often not very good. The other is that cascade makes it so that you are putting two spells on the stack, whereas this spell needs to resolve for you to cast the other spell. I think that people are overreacting to the new sweeper, and it will only be fine if it’s even playable. I am curious to see if other cards have this mechanic though- it is a dangerous one to play with if the spell itself is good to great without the additional text more often than not. As an Ad Nauseam player I really dont want to see ssg banned. It would kill the deck even if they made say lotus petal legal it would still hurt the deck from going off at instant speed and chrome mox wouldnt work.